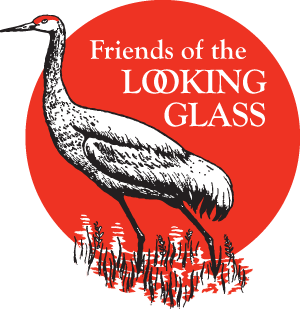 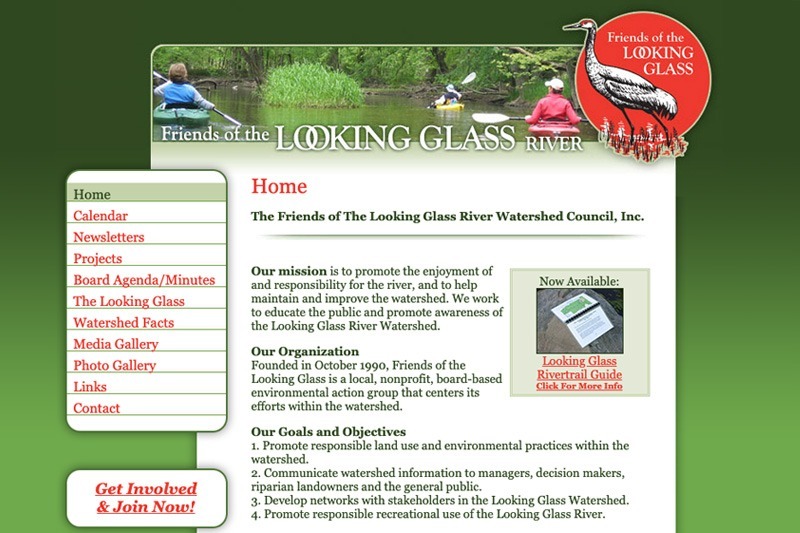 Friends of The Looking Glass River Watershed Council, Inc.
Friends of the Looking Glass (FLG) is a local, nonprofit, board-based environmental action group that centers its efforts on promoting responsible land use and environmental practices, responsible recreational use of the Looking Glass River, and communicates watershed information to managers, decision makers, riparian landowners and the general public. 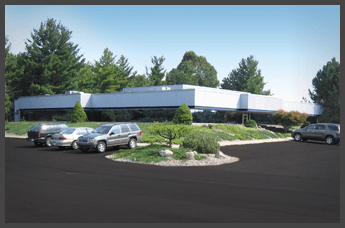 The board members are generally located in the DeWitt area, in the middle of the scenic 64-mile long river that meanders through a mostly rural watershed in Livingston, Shiawassee, Ingham, Clinton and Ionia Counties of Mid-Michigan. 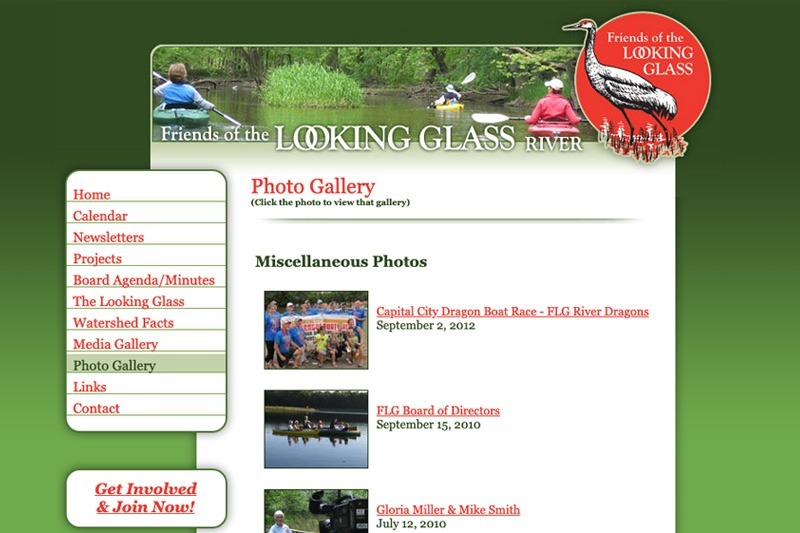 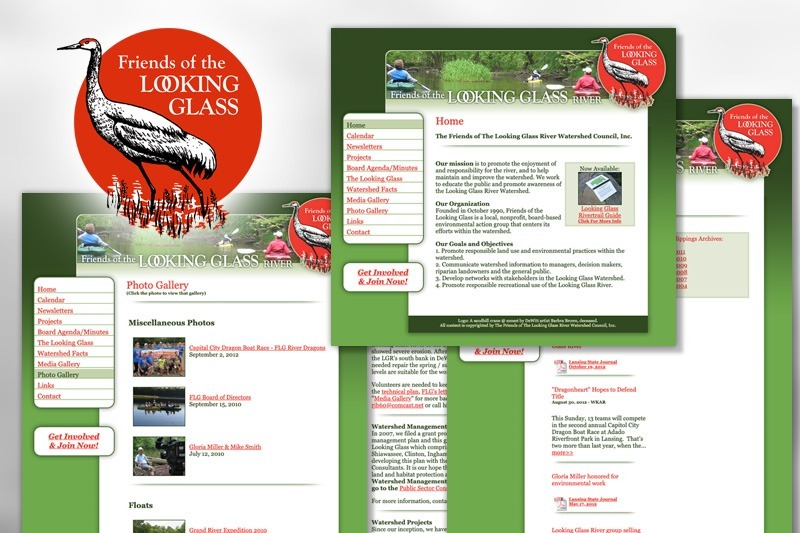 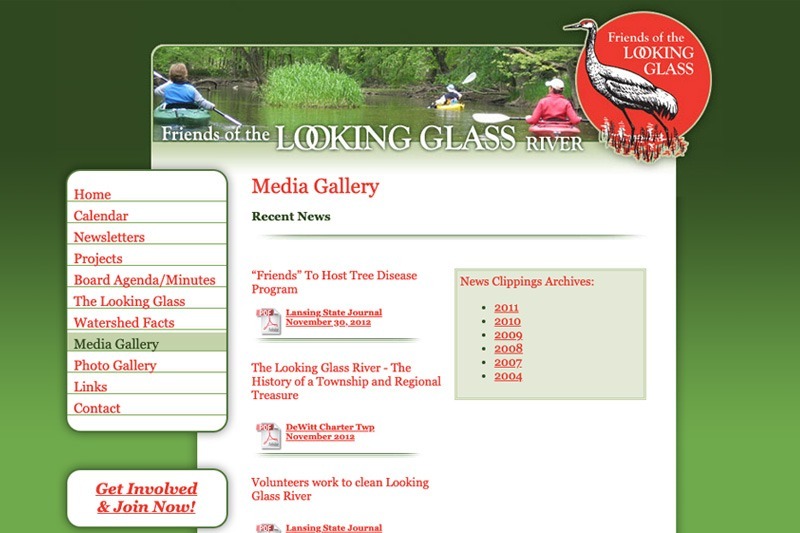 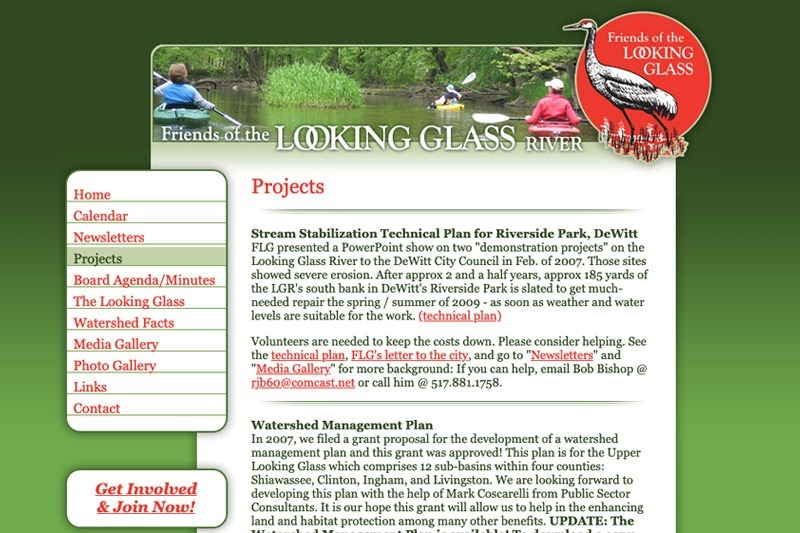 The FLG website, designed by Future Media Corporation, includes watershed facts, an events calendar, photo gallery, media gallery, watershed plan documents and more useful information regarding the past, present and future status of the Looking Glass River.